CCTV Distributors fail to deliver fit-for-purpose security, so Viseum launches its own Sales Network. There is a clear link with the decline of the security industry’s CCTV Distributors or ‘box shifters’ that are responsible for the millions of cameras installed, and the absolute fraction of these which deliver usable video. People are no longer looking for simply the cheapest CCTV security cameras and UK CCTV surveillance has never been a ‘box shifting’ exercise. Intelligent CCTV surveillance technology specialists Viseum UK have proven themselves to be the real stars when it comes to success in the UK CCTV surveillance business, as the Board reports Viseum UK to be the fastest growing CCTV surveillance technology solutions business, has not only survived during the worst economic downturn in a generation, but has flourished, exceeding all expectations and with exponential growth forecast. Viseum UK’s success lies in the proven ability of its intelligent monitoring Video Content Analysis (VCA) software and unique CCTV surveillance PTZ Camera designs, which makes the company’s offering attractive for those requiring high security. Money has become tight for everyone, but this has helped Viseum prosper. As budgets have been cut, buyers have become much more demanding in sourcing systems that deliver the twin goals of value and results. Spending money on fewer UK Security Cameras that work makes more sense than buying a lot of cameras that do not. Police forces currently spend many millions of pounds each year reviewing evidence. This can take many hours to retrieve and review and often cannot be used because the incident did not occur right in front of the camera. Feedback from those police forces who use Viseum is that just 4 independently operating redeployable Viseum cameras used by just one police surveillance operator, significantly outperform at least 20 standard redeployable CCTV cameras – each of which needs a dedicated operator to watch and control in order to catch crime. By being less reliant on traditional UK monitoring infrastructures, Viseum UK is bridging the gap between manned surveillance and unmonitored UK CCTV surveillance schemes. Low running costs coupled with autonomous operation makes CCTV feasible again and for the wider community where Viseum UK as a company has reaped the rewards. 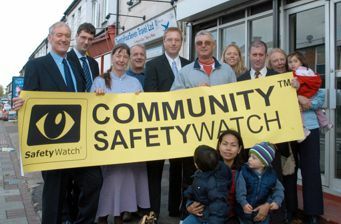 For example, Viseum has also been at the forefront of Community SafetyWatch®, a community safety service scheme set to generate at least £100 million over the next 5 years for the UK economy. It will not only save each local authority up to £7 million in crime-fighting overheads, but will also save at least £1 billion throughout the UK nationally by reducing the costs associated with crime and antisocial disorder.